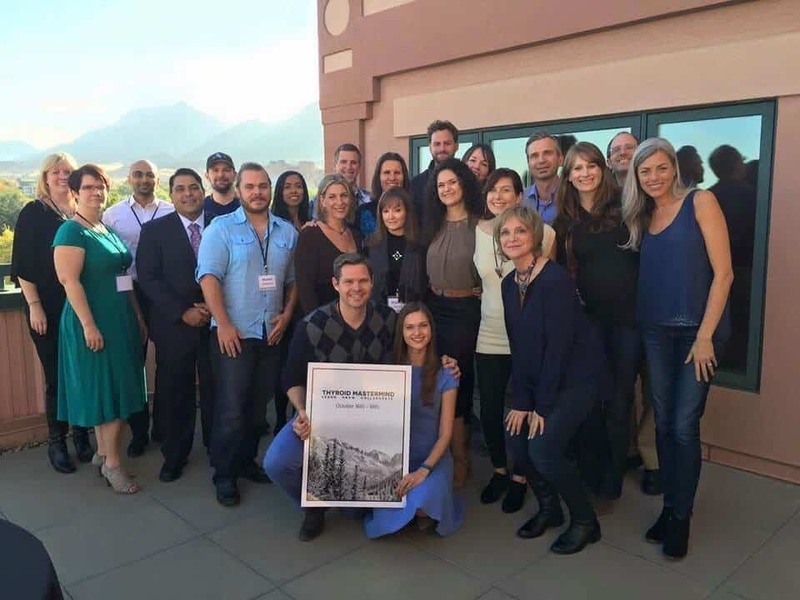 In late 2015, I hosted my first Thyroid Mastermind. More than 30 of my favorite like-minded thyroid, nutrition, and health experts joined me in Boulder, CO where we shared our commitment, personal stories, and passion for the way thyroid conditions are viewed and treated over a weekend of sharing ideas, learning, collaboration, tasty Paleo food and nature hikes. If you haven’t heard of the term mastermind, it’s the collective power of a group of brilliant minds that come together to help one another grow and sharpen their skills, through a combination of brainstorming, education, peer accountability, and support. The power of the mastermind comes through the synergy that the group creates (scroll down for a teaser photo of some of our group). I wanted to bring everyone together, because while I know that all of us are deeply committed to making a change in the way thyroid conditions are treated, many of us are going at it alone, working in our silos. In my past career in public health, I was trained in spreading health and innovation, and the top way to do so is through collaborating with other like-minded individuals. I chose the best people in the world to join me. All of them have brilliant minds, as well as heart, passion, and often a personal story that explains why they are so passionate! One of my Mastermind guests was Magdalena Wszelaki, a certified health and nutrition coach, and educator specializing in hormone imbalances. She, like so many other women, has a long history with hormonal challenges – from Graves Disease and Hashimoto’s to adrenal fatigue, years of digestive issues, and estrogen dominance. Today, however, Magdalena is happy to report she is in full remission and living a symptom-free life. Magdalena and I met in 2013 after I reached out and told her how much I loved her work. I was so inspired by her empowering, can-do practical methods for helping women get their health back, and thought to myself, “Wow, this woman is not just brilliant, but I’d love to have her as a friend!” I’m happy to report she now lives in Boulder, CO and is part of my Woman’s Wednesday night get-togethers 🙂 In the years since, I’ve learned so much from Magda (as I like to call her) as we often share ideas and best practices back and forth, which brings me to her area of expertise… estrogen dominance. If you’ve read my book, Hashimoto’s: The Root Cause, you will likely know by now that hormone imbalances can contribute to Hashimoto’s…. this can partially explain why pregnancy can trigger Hashimoto’s, and why Hashimoto’s is more common in women. We are not only exposed to estrogen from our internal hormone production but also through non-organic foods and through personal care products. In 2015, I found a study that was performed in women with polycystic ovarian syndrome (PCOS), some of whom also had Hashimoto’s. Scientists wanted to figure out why some women with PCOS got Hashimoto’s and why some didn’t and ran hormonal tests on all of the women involved. Lo and behold, they determined that excess estrogen – also known as estrogen dominance- can trigger Hashimoto’s. So, how do you know if you have estrogen dominance? As I mentioned, Magdalena struggled with estrogen dominance herself – a part of her Hashimoto’s “perfect storm.” But, she has figured out a way to reverse it through nutrition and she’d like to share her findings with you, including how estrogen dominance can be caused by many lifestyle factors including stress, poor diet, some meds, inadequate liver function, and exposure to an estrogenic cocktail of chemicals from skin care products, cleaners, packaging, and food. 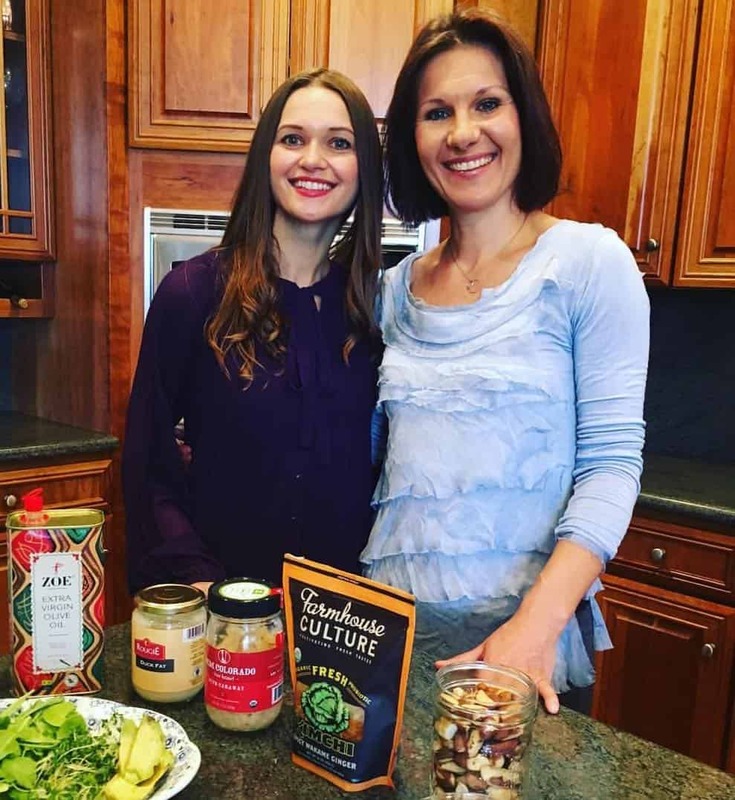 Magda has found that you too can rebalance your hormones naturally, and she shows you which herbs and spices are best to meet your individual needs. In her free workshop, “How to Use Herbs to Rebalance Hormones“, you’ll learn which specific (safe) herbs you can use in your daily life to support adrenals, thyroid, menopause, estrogen dominance, PCOS, digestion and liver health. You’ll learn which herbs and plant foods, like Chaste Tree (Monk’s Flower) and Passionflower, encourage balance between estrogen and progesterone. She’ll show you why Milk Thistle and Artichokes can help support liver function, and how seed cycling can be used to reduce symptoms of estrogen dominance. You’ll also learn ways of using these hormone-balancing herbs and spices in teas, infusions, lattes, pestos, and soups, gain access to 140+ easy and tested recipes (developed by professional herbalists), and so much more! 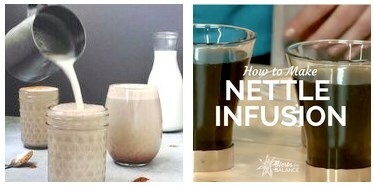 You’ll lose your heart to Magda’s Ashwaganda Latte and Nettle Infusion recipes. These are wonderful and delicious drinks to enjoy as part of your nighttime winding down rituals. Believe me, you’re in for a treat! I hope you will take advantage of the knowledge of one of my favorite Mastermind friends 🙂 and sign up today for Magda’s free workshops and be prepared to be empowered and to get some great strategies you’ll be able to implement right away! P.S. Magdalena and I recorded a short video about estrogen dominance when we were together at a conference in California in August 2015. It’s definitely worth watching. Click HERE to watch. Be sure to sign up for my email list and weekly newsletter to get a free book chapter, recipes, Thyroid Diet Starter Guide, information about Rootcology supplements, and notifications about upcoming events and my latest research. Manole D, Schildknecht B, Gosnell B, Adams E, Derwahl M. Estrogen Promotes Growth of Human Thyroid Tumor Cells by Different Molecular Mechanisms 1. The Journal of Clinical Endocrinology & Metabolism. 2001;86(3):1072-1077. doi:10.1210/jcem.86.3.7283. I like more info on the seed rotation. What do you think about progesterone creams? Do you recommend any natural progesterone cream or other natural treatments? Or do you recommend any book in this “natural hormone balance” topic? Anna – Progesterone deficiency can surge into Th-1 dominance. This explains why the peak onset of Hashimoto’s occurs during menopause, when the body’s progesterone drops, or after pregnancy, when a rapid drop in progesterone occurs after the delivery. Be sure to discuss your estrogen levels with your doctor before starting any creams or supplements. Thanks for your answer, dear Izabella! But I don’t know what should I think about medications for high prolactin (my doctor prescribed me Norprolac) Have these the same side effects like other oral contraceptives ? Do you recommend natural treatment for high prolactin as well? What can be done about water retention? Following AIP diet – taking supplements/ probiotics and eliminating toxins as well as 1 grain of naturethroid daily. My markers are all better and getting in normal range. This water retention in face is last to go – cannot seem to find much information other than using diuretics which I’d rather not resort to. Thank you in advance for any advice. Carol – thank you for following this page. Please, understand that due to liability issues, I am unable to answer specific medical questions. I am 48 and believe I began peri menopause about 3 years ago. At the same time I developed histamine intolerance and for the past 2.5 years have been on the cusp of Hashimotos. I think I must be estrogen dominant. Have you ever come across this type of histamine reaction before and if so have you any advice please? Sinead – thank you for following this page. Please, understand that due to liability issues, I am unable to answer specific medical questions. How to test estrogen and progesterone best? and what are the optimal ranges? How do you feel about natural usp progesterone cream? Kristy – thank you for reaching out. I wish I could give you more direct advice but, each person will react differently. I would advise you to ask your personal pharmacist or a trusted clinician who’s care you are under. I am not able to respond directly to these types of questions here. Here is an article you might find helpful. I’ve been following you for sometime and it’s a shame how you’ve changed with your answers, you’re not very helpful anymore due to “liability”, my how our world continues in the wrong direction. I know if someone hires you, you’ll be glad to answer all their questions. It’s not all about the money. You started this to be helpful…..so be more helpful, find a way. Stefani – I understand how frustrating this can be. Any time an individual asks any question about what they personally should take as far supplements or medications and I respond, that legally becomes direct personal medical advice and jeopardizes my license. I hope you understand. I have to be very careful and responsible. The advice of a skilled personal medical practitioner who is familiar with your health history is always best. Hello- I suffered a miscarriage at 14 weeks and then was diagnosed with hashimotos 4 months later. I started getting weird dizzy spells and shakiness that ended me in the ER and they found my TSH to be 92. Do you think the estrogen dominance from this triggered hashimotos? I am not able to find other causes other than stress. If so, what can I do to help it get better? The dizziness is still my worse symptom even though my TSH, T4 and T3 are all in range now. Thank you!! I just purchased protocol two days ago and I look forward to reading it and learning more. If this is a cause, is it still necessary to go gluten free etc? Michelle – you are very welcome! Make sure to take the book slow, take notes, highlight, and establish a baseline when making changes. Going gluten-free is always the first step that I recommend. Through my research, I’ve found that a good percentage feel better off gluten. About 20% will actually go into remission by doing so. Some researchers have found that three to six months on a gluten-free diet can eliminate organ-specific antibodies.